You want to run a business or fun website? The very first you thing you need, when you want to start a blog or website is Domain name. Domain name is not just the name of the website or blog but it actually explains a lot about the online business or the type of blogs or websites. Let me give you an idea what I am talking about. If you visit Facebook, that means you are opening Facebook.com, here Facebook is domain and .com is top level domain extension. You may ask that why you should buy a domain when there are websites which are providing free domain names. There is no doubt that there are various sites like Blogspot, Weebly, Wordpress.com etc. which offers free domain names but there are limitations of those domains as they actually work as subdomain of the free domain service provider. I will answer two things together first why you should buy a domain and second why you should not use a free domain. Blog with top level domain extensions always have better reputation than free or subdomain. For example you will like to type ioscrunch.com but may not like to type ioscrunch.blogspot.com. Being in .com club will help you to easily gain recognition in blogospehere and gain attention of probloggers also. this will help to boost bloggers outreach and will help your blog to rank easily. So it is always good to buy a custom domain. Sites love to connect with other sites that have custom domains. There are sites like about.me which help you to boost your personal branding by adding sites with custom domains. You can easily establish a connection on various placeholder sites with custom domain only. If you have seen the backlinks of various blogs than you will find that .Com blogs have way more backlinks than free domain blogs. Why, because professional sites or bloggers love to connect with custom domain blogs only. Not just the content but the quality of a purchased domain also matters to gain backlinks. Have you ever thought why popular websites do not use free gmail email or free yahoo email service? You can spread your brand value easily when using a domain with custom domain. Professional emails have more impact on the receivers mind than email from a free email service provider. For example : People are more tend to read emails sent by admin@easkme.com, than admineaskme@gmail.com. A branded email id shows that you are serious about your profession or blog and also makes other to look what you are offering. When it comes to make money online or make money blogging, you will see a huge difference between the earning of free domains and the domain you have purchased. The popular advertiser platforms like buysellads only allow you to be on their platform if you have a custom domain and fulfill their other requirements. 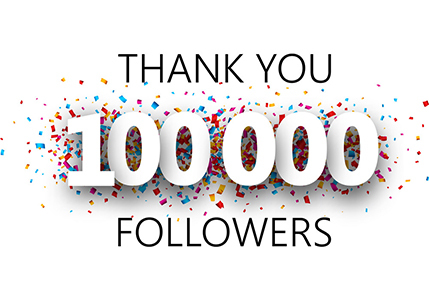 A free domain always bring not so good impression and that is why not able to grab a good number of social shares or likes and even submission on social bookmarking sites, where custom domains always give the impression of branding and professionalism and that is why get more likes and social shares. People love to visit those sites again and again. People are likely to join those blogs which have .Com extension than a free domain blog. Using a custom domain make people feel like they are on an authority sites. People are more likely to subscribe a site with custom domain and this helps to gain more traffic on regular basis. So it is a good reason why you should buy a domain. Free domains do not get any kind of domain authority, where custom domains have their own rank of domain authority. This shows that your blog or site is really professional and you are a serious blogger. Domain authority is the metric that buyers or advertisers consider when giving you opportunities to make money blogging. If you buy a domain name than you will get the ability to transfer your domain to other service provider after some time. But if you are working with a free domain, you will never be able to transfer your free domain to anywhere else. You can only delete your domain. There is no doubt that free domain names are absolutely free and there is no charge on them even for renewal. But for custom domains you have to pay some amount. You can buy a domain name below $10 easily. As the custom domain offer various helpful features that you will not find with any free domain. So I recommend always to buy a custom domain name. 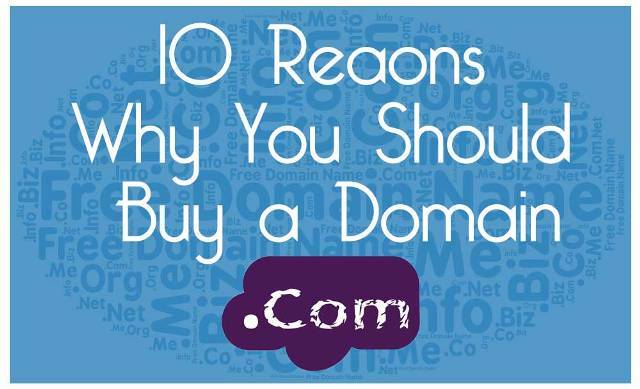 So these are the reasons why you should buy a domain. You want to star a blog or business site, your focus should be always to deliver idea or things in a really professional manner using custom domain name. If you still have any question regarding buying a domain name, feel free to check these guides, or ask me via comments. Don`t forget to share what you like. Like us on Facebook or subscribe eAskme newsletter to stay tuned with us.